During this unique fantasy set on an air ship, exiting adventures await Nadya Skylung as she navigates her new abilities, new responsibilities, and pirates. I always yearn for a book with a world that is new instead of a variation of what I've read before. This is that book. I could not put it down. 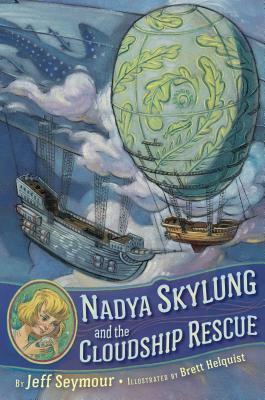 Jeff Seymour makes his middle-grade debut with Nadya Skylung and the Cloudship Rescue. In addition to writing speculative fiction, he works as a freelance editor. Jeff lives an unexpectedly hectic life with his wife, their son, and two energetic cats. Visit him online at jeff-seymour.com and on Twitter at @realjeffseymour. Brett Helquist has illustrated many books for children, including the bestselling A Series of Unfortunate Events by Lemony Snicket. He lives with his family in Brooklyn, New York. Learn more at bretthelquist.com and on Twitter at @BHelquist.